I recently had my hair highlighted and felt it needed some TLC, it seems to have lost its way after styling and heat damage so I thought a treatment was in order. 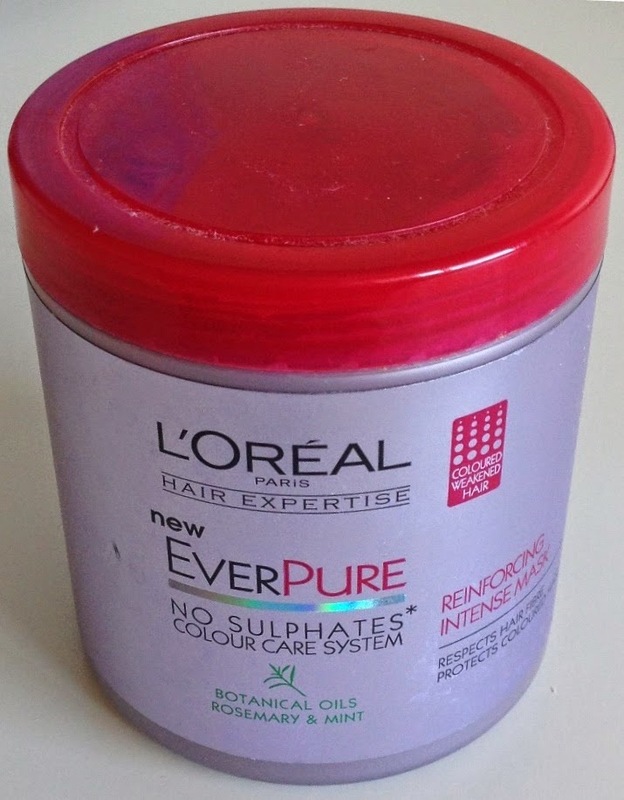 I absolutely love the L'Oreal Ever Sleek range and fancied trying something else from within the Ever range - I opted for the EverPure Reinforcing Intense Mask for coloured and dry hair. It is designed for colour weakened hair. This range is sulphate free and features botanical oils of Rosemary and Mint. 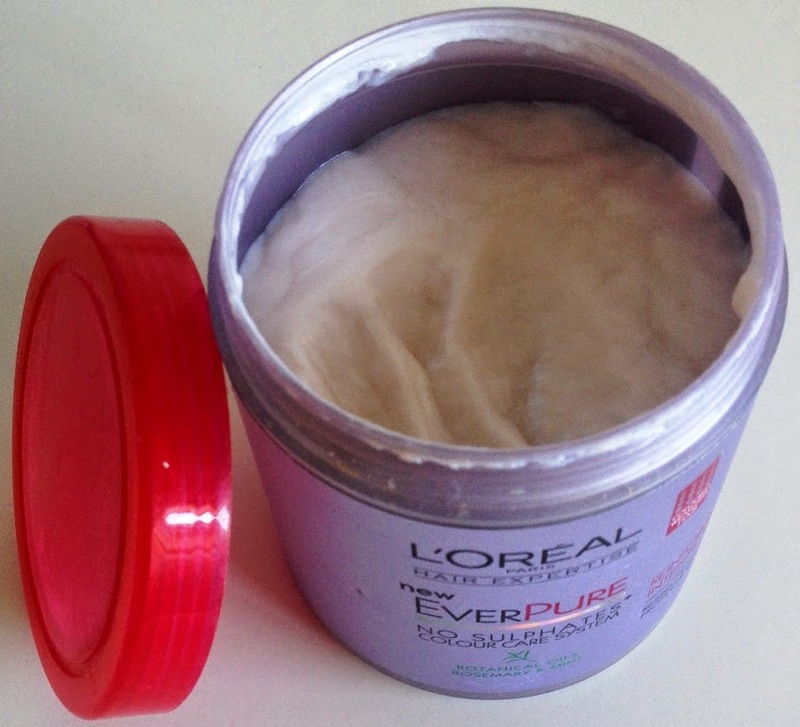 It claims to respect the hair fibre and protect coloured hair, just what I am looking for! Instructions for use - A generous walnut sized blob of the mask on the hair, distribute evenly and leave for 3-5 mins. The mask has a lovely and rich minty scent and the texture is relatively thick. As soon as it is rinsed out hair feels instantly smoother. Having blow-dried my hair and then straightened it I noticed a real difference to the finish, smoother, sleeker and more defined hair. It looked and felt so healthy. I will be using this once a week to keep my hair healthy and manageable. Top marks for this as my hair loves it.